Every time I go on vacation, I always find something I become obsessed with for years. This year is no different. Those over-priced resort hotel boutiques really do carry high quality products. When it comes to beauty products on a tropical island, I always have a gut instinct that it will be a purchase I wont regret. Last year I got stuck on Coola Sunscreens (Mango is my favorite). The year before that, it was Apothia If Roll on Perfume. 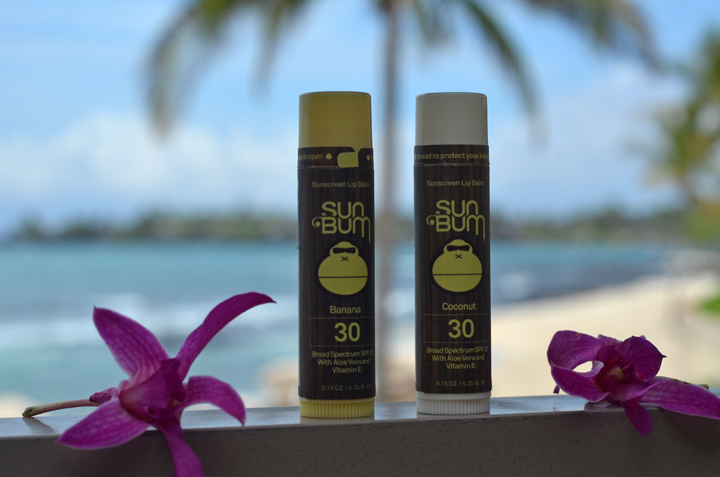 And this year its SunBum SPF Chapstick (I became so obsessed with the banana and the coconut that I had to buy both.) The smell and taste are unfreaking-believable, sooooo good. I'm not kidding, every time my husband kisses me he immediately wants a pinacolada. The texture is as amazing as the scent, it melts onto your lips...I cant stop putting it on. Resort buyers, you have my respect. This will now be in my beach bag for the rest of the summer and most likely for summers to come. oh WOW! these sound amazing! hahaha I want!